What Kate wore on her arrival- the details of her coat, shoes, clutch, etc, can be seen here. Later Kate wore a black lace dress for tonight’s private reception and dinner benefiting the Royal Foundation of the Duke and Duchess of Cambridge and Prince Harry. 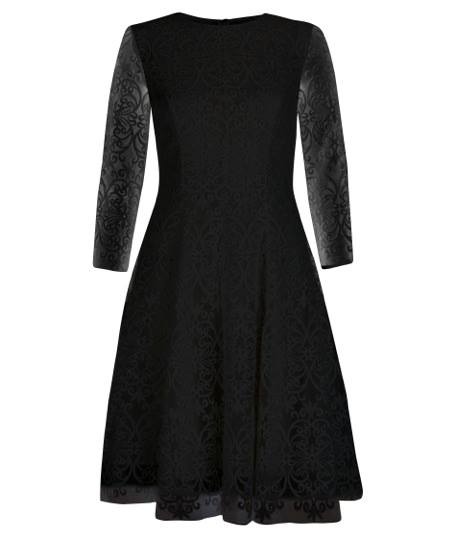 Beulah London has noted that Kate wore a dress from their spring 2015 Collection, the Amara style. 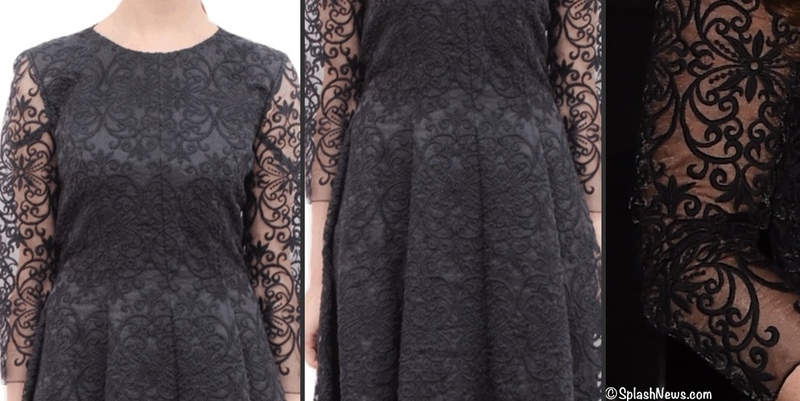 One of the frock’s most distinctive elements is the lace motif used for the sleeves. In apparel the pattern often depicts floral designs; in this case the lace is more of a scrollwork pattern. The shoe is available at Stuart Weitzman for $355. 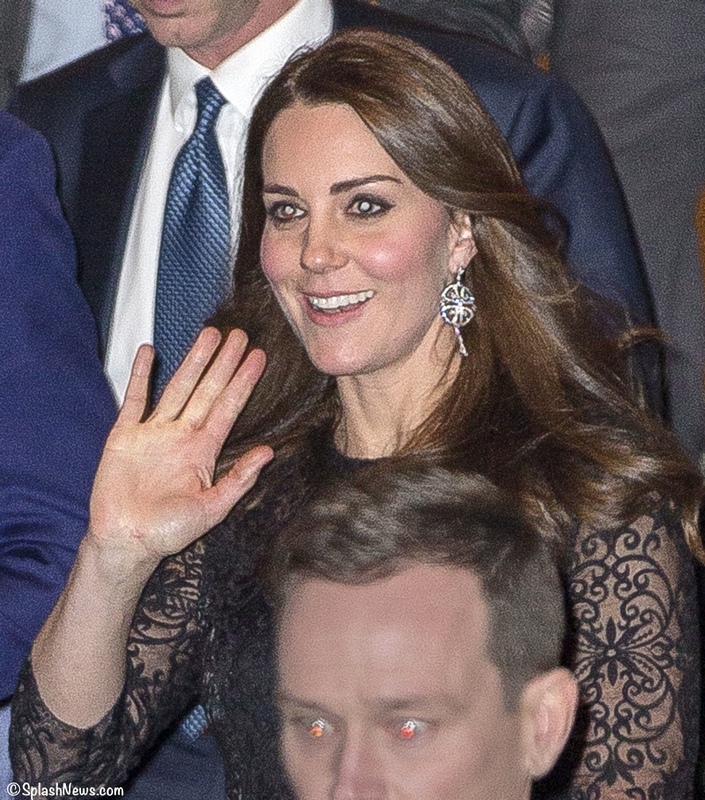 The Duchess elected to go with a pair of statement earrings this evening. 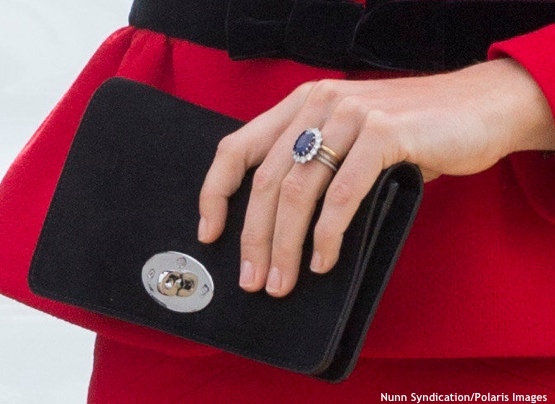 Kate carried the black Mulberry clutch we have seen previously, we show it below when carried during this spring’s tour.